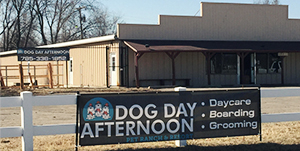 We strive to enrich the lives of every dog with which we come in contact and to help our clients get the best from their doggie companions. Fresh air, sunshine and exercise are provided in a positive, stimulating, social environment. 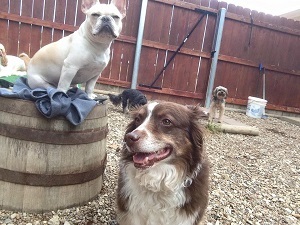 Inside the old wooden barn, playrooms are filled with a variety of safe and durable toys, designed to stimulate your dogs mind. Dogs of all shapes and sizes enjoy a romp in the meadow, hiking along wooded trails, swimming in the pond, chasing a ball or frisbee in the dog park or just relaxing with their friends under the shade of a big tree. Every dog enjoys a break from the hustle and noise of the city. 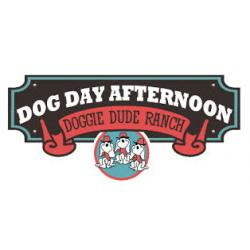 Doggie Dude ranch is the answer! Copyright © 2003 - 2019, Virtual Barter. All rights reserved.